Six months on, why is the Boeing 737 Max software update taking so long? Panasonic has come out with its latest range of Eluga smartphones-- the X1 and the X1 Pro. The phone is priced at Rs 22,699 and comes with a host of features such as an AI assistant called Arbor, Facemoji, Timelapse etc. The phone is sturdy and has a stainless steel frame that gives it a metallic sleekness. 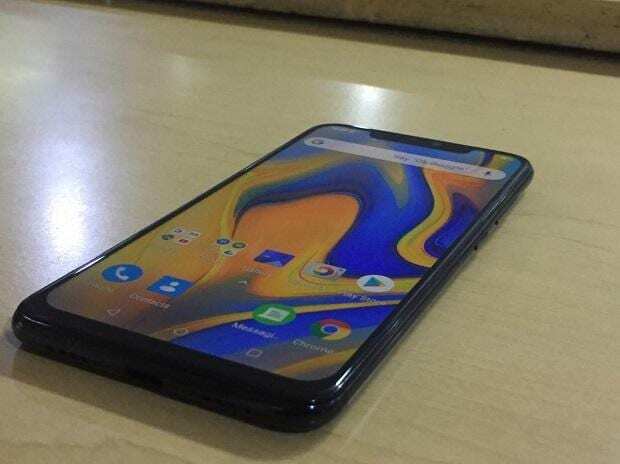 It has a notch display that renders all of its 6.18 inch frame useful. The X1 Pro has a Gorilla glass 2.5 D curved screen. Its ~403 PPI screen helps deliver sharp and clear images. The 6.18-inch LCD display comes with a Full-HD+ resolution and is packed with 1080 x 2246 pixels. Specs such as these make the device a delicious affair with colours. A friend's shot of Nainital scenery actually seemed to me like a Swiss village. However, one big disappointment is the absence of the 3.55 mm jack and in-pack earphone to go with it. The Panasonic X1 Pro is powered by a 2 GHz, Octa Core (Mediatek MT6771) Processor and 6 GB RAM. However, the Android v8.1 (Oreo) OS might not be up to date, as the device is using an August 2018 patch. The phone hardly experiences any lag and has a good touchscreen. The infrared facial recognition works well in low light conditions too. The fingerprint sensor is also up to the mark. Panasonic has put an AI (artificial intelligence) assistant called Arbo. However, it is a far cry from its peers, floated by Samsung and Apple. Arbo is packed with features like news aggregation and horoscope, among other things, that fail to impress. Perhaps, its only claim to fame is its one-stop-shop feature. The X1 Pro has a 16 MP + 5 MP Dual camera on the rear and a 16 MP front camera. The camera app is backed by artificial intelligence that allows AI selfie and AI-based slow motion video capture. The cameras capture vivid images in daylight, but falter in low light -- something that should not happen with devices in this price range. The bokeh feature could have been better as the auto focus disappoints by blurring out edges of your subject. The phone has a 3,000 mAh battery that lasts throughout a day of use. It takes around one hour to reach from zero to 100 per cent. The device is wireless charging enabled. The Panasonic X1 Pro is loaded with some great features, has a better-than-average camera set up and packs in the punch with strong technical specs. Yet, if I were to spend what its price tag demands, I would wait and watch before taking the leap.